Found my spiritual salad home on Abbot Kinney Blvd in LA’s Venice. 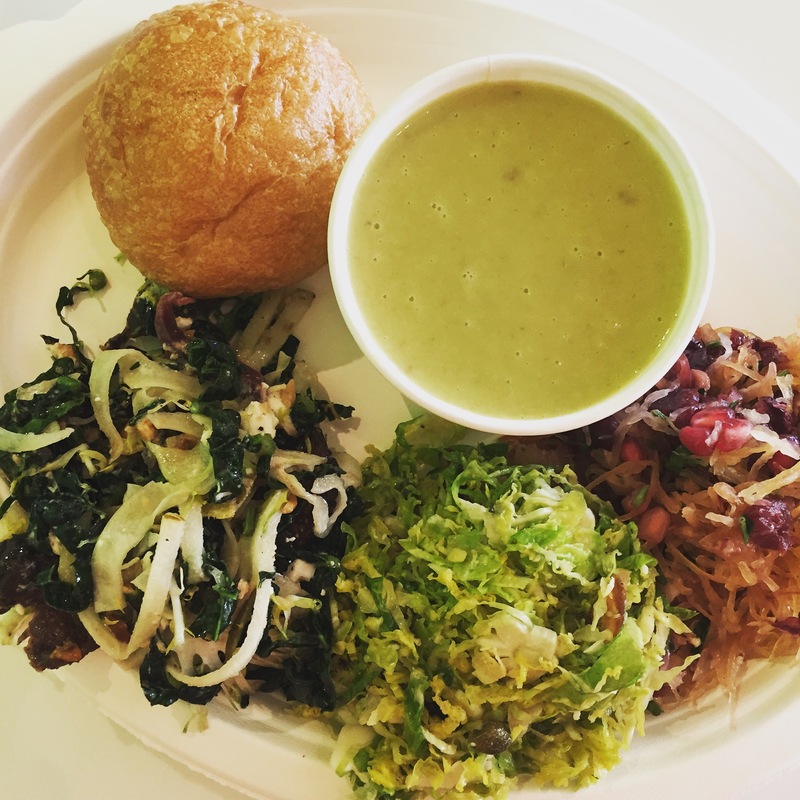 This plate of three delicious salads and broccoli soup cost about US $10, bargain. 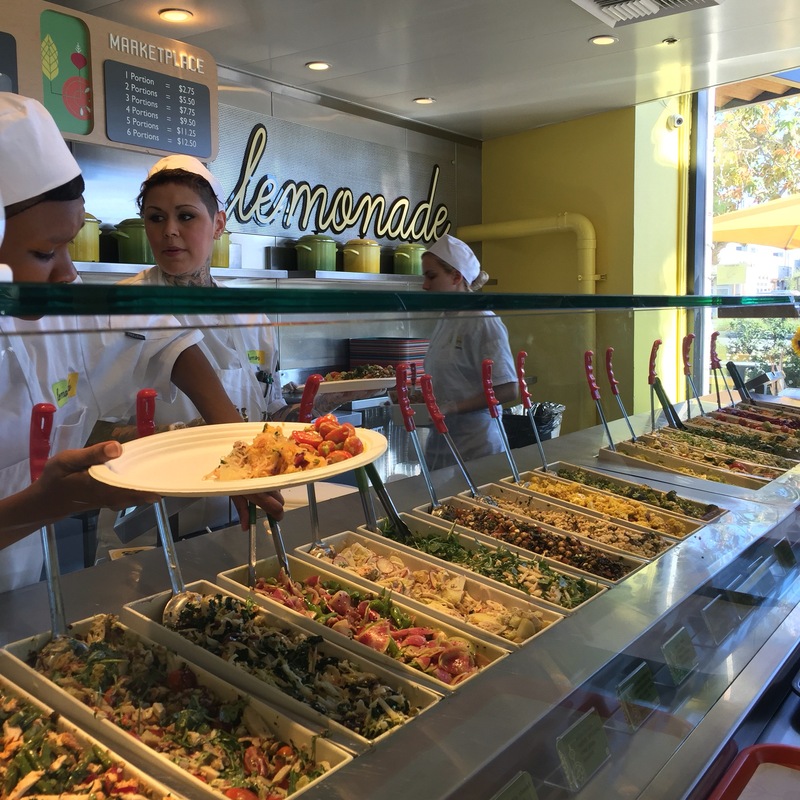 All the salads at Lemonade are interesting and feature generous amounts of both seasonal fresh produce pimped with premium goodies like bresaola, pine nuts, kimchi, Parmesan, tuna crudo. You order by the serving and then if you like add proteins like grilled meat or fish, stews, curries or soup. There’s sweet stuff too and a range of lemonades hence the name. But I was all about those salads!